My love of Bulova watches continues. So I’m still on just the 3 Bulova watches. Have got my eyes on a new one for this year though so may well end up with a 4th. Bulova are one of my favourite affordable watch brands, they have an extensive collection of awesome watches to check out. Today I’m doing a Bulova 96B247 review, a black dial sports chronograph watch. You can purchase this watch on Amazon. The Bulova 96B247 has a mineral crystal glass display with a stainless case and band. The dial is a standard men’s size at 43mm diameter and 11mm in thickness, this sits very nicely on the wrist. The chronograph display allows for the stopwatch feature which is a nice addition to the watch and I think the black dial looks great with the stainless steel surround. The Bulova 96B247 is suitable for both work and sport, personally I’d mainly be wearing this at work as it’s quite sleek and fits under the cuffs of a suit nicely. It’s got a nice design that isn’t too in your face like you get with some of the larger size faces. Overall I’d say this is a great choice for someone after a smart chronograph watch from a reliable well known brand. 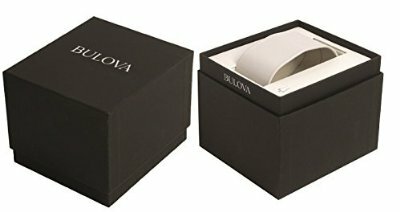 Hope you enjoyed my Bulova 96B247 review.